GREENVILLE, North Carolina -- A North Carolina woman was arrested and charged after police say she left two 6-week-old puppies in her hot car. Greenville Protective Services responded to First Street Place after receiving a tip that a puppy had been left in a vehicle inside a small pet carrier. 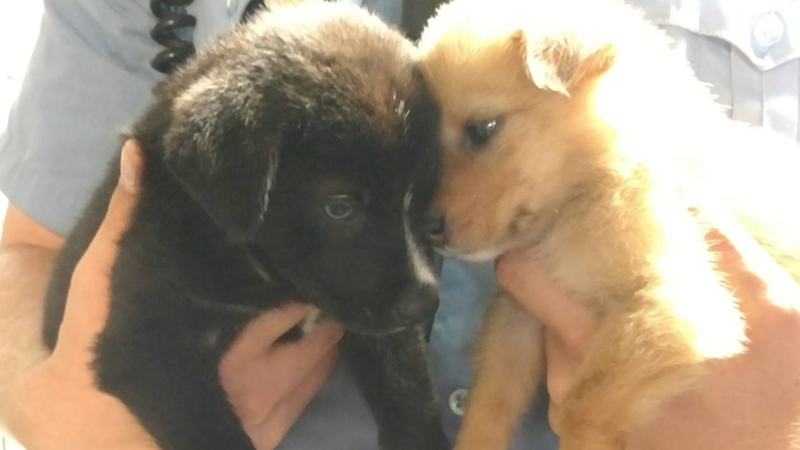 Officers discovered there was a second puppy within the pet carrier. Both puppies were showing obvious signs of heat distress. The temperature in the car was determined to be 130 degrees. Officers were able to get the puppies out safely. They were immediately transported to East Carolina Veterinary Services for emergency treatment. According to the examining veterinarian, with the car's temperature and how young the puppies are, they would have likely died within five minutes of the officers' arrival if they had been left inside the car. Kanesha Shante Williamson was taken into custody and charged with two counts of Animal Cruelty. She received a $1,000 secured bond.